(Updated 3:30 p.m.) Ribbon-cuttings usually mark the grand opening of a new facility, but that’s not quite the case for McLean Community Center’s Ingleside Avenue Facility. The project, which first broke ground in March 2017, is not fully completed yet but an invitation-only ribbon cutting ceremony will still be held tomorrow (Wednesday) at the McLean Community Center at 1234 Ingleside Avenue. 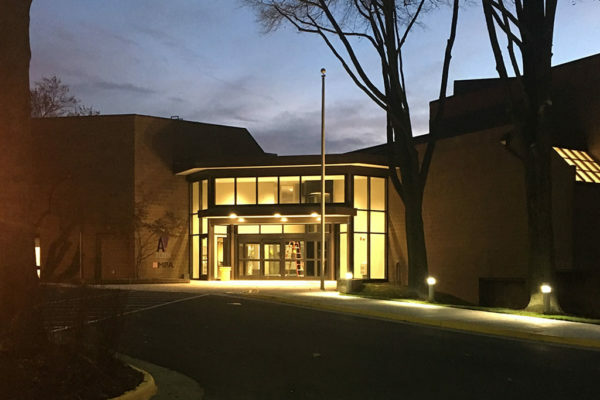 Sabrina Anwah, director of communications for the McLean Community Center, said the renovations are mostly complete and the facility is scheduled to open Jan. 2. The $8 million project is a complete overhaul of the facility. Administrative offices are consolidated, ADA and fire compliance issues are addressed, and the facility’s lights, walls, and flooring are all updated or replaced. The renovations include two new multipurpose rooms and an enclosed courtyard.